Fabroni Vitse Italorum, vol. III. —Niceron, vol. Ilf. —Eloy, —Dict. Hist.de Medicine. 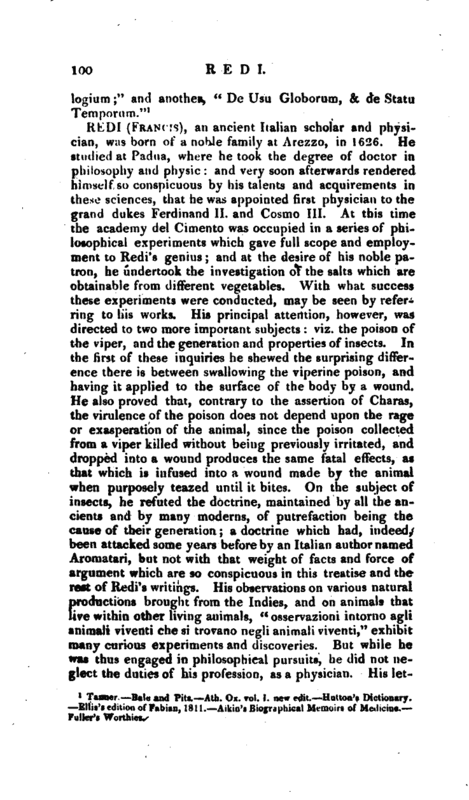 Baldwin’s Literary Journal, vol. I. 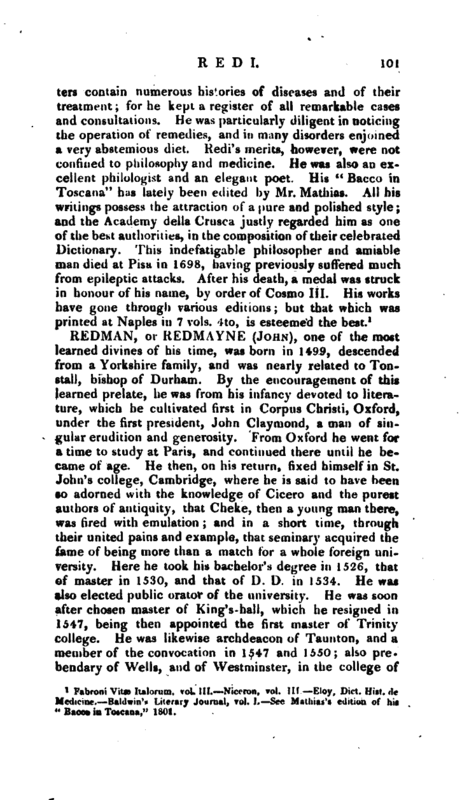 See Mathias’s edition of his “Bacco in Toscana,” 1801.